If you're looking for reloading equipment, LMC AMMO has everything you need. LMC AMMO has a full line of dies, shell holders, presses, scales, and tumblers. 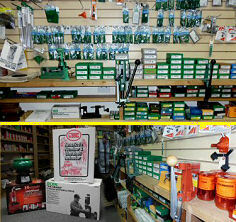 We also have case trimmers, hand priming tools and common reloading supplies for all modern and rare calibers. Whether you need media for your tumbler or a complete reloading kit, we have it at LMC AMMO. Don't forget to pick up an updated reloading manual while you're here. Contact LMC AMMO Don't forget... Save 10% if you take our Reloading Class!